These American made, hand-cast metal cremation urns, are finished in brushed nickel then sealed with lacquer and hand polished. For cleaning all you need is a light dusting or use a slightly damp, non-abrasive soft cloth. The urn features secure screw-in plug and bottom plate closure. Each urn is individually hand crafted, making no two alike. Would you like engraving? Choose to engrave name and dates at an affordable price, or add an endearment such as 'Forever Loved', and add one of our available images such as a heart symbol. 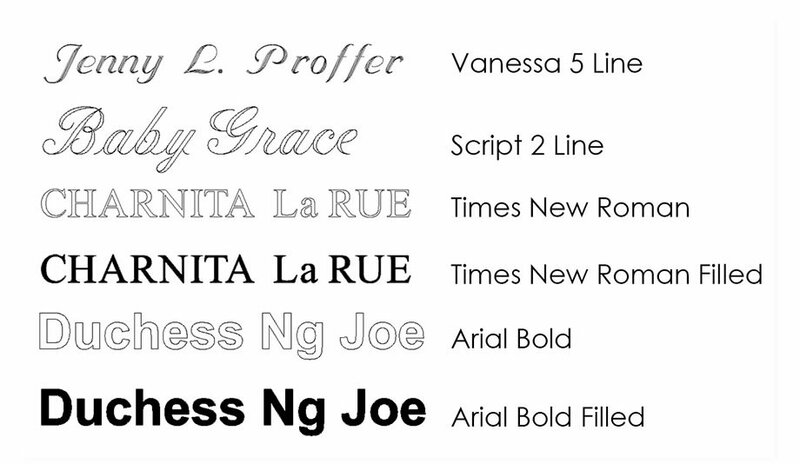 Please click on the Detailed Images tab to see samples of engraving fonts and all our symbols. Dimensions: 5" L x 5" D x 8.5" H - 86 cubic inches - This urn is appropriate if families are sharing the cremains of a loved one, or can be used for children with healthy weights less than 80 pounds, or for pets with healthy weights less than 55 pounds. Physical Weight: 3 lbs. Shipping weight is 6 lbs.